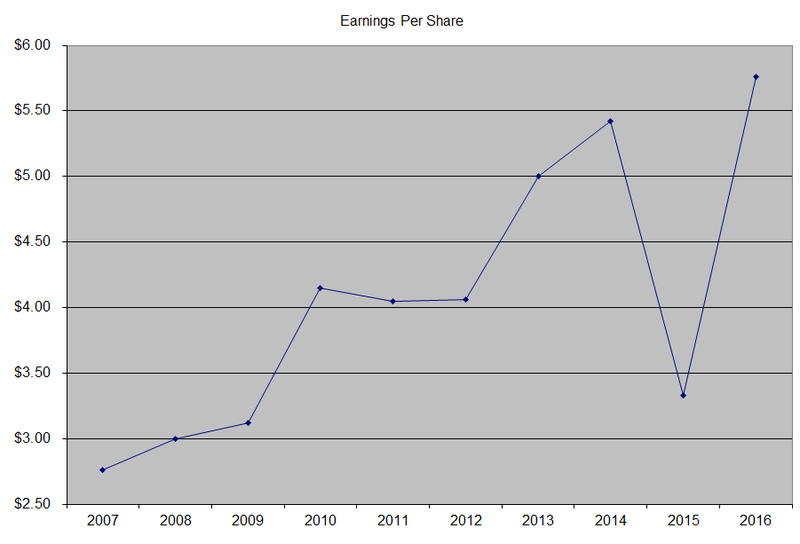 The company has managed to deliver an 8.90% average increase in annual EPS since 2006. Analysts expect J. M. Smucker to earn $7.69 per share in 2017 and $8.09 per share in 2018. In comparison, the company earned $5.76/share in 2016. Future increases in earnings would likely be generated by acquisitions and some by cost restructuring. The company has a track record of making acquisitions that work. The company has taken the initiative to improve operations and production efficiencies, and improving its cost base. The demand for products in Smucker’s end markets is stable, and would grow slowly over time. The demand for coffee, peanut butter, jelly, and cooking oils is pretty stable, and results in repeatable sales to consumers, once you establish that relationship. International sales account for less than a quarter of revenues, which is an opportunity for growth. Product innovation could also provide opportunities for growth. One factor to look at is that sales to Wal-Mart account for over a quarter of sales. This is high reliance on the worlds largest retailer, which is known for its stance to keep costs low. On the other hand, this is a mutually beneficial relationship, as customers looking for a particular brand may be turned off a retailer if they do not find it. 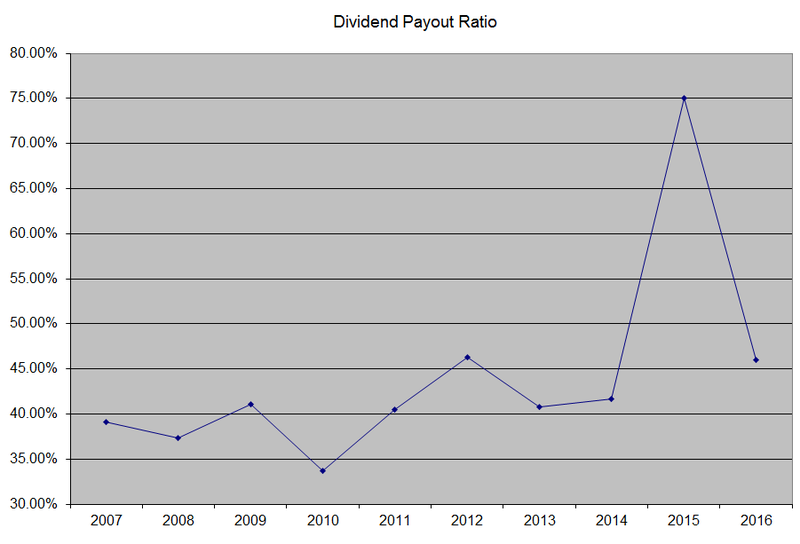 The annual dividend payment has increased by 10.20% per year over the past decade, which higher than the growth in EPS. This was achieved mainly through the expansion in the dividend payout ratio. 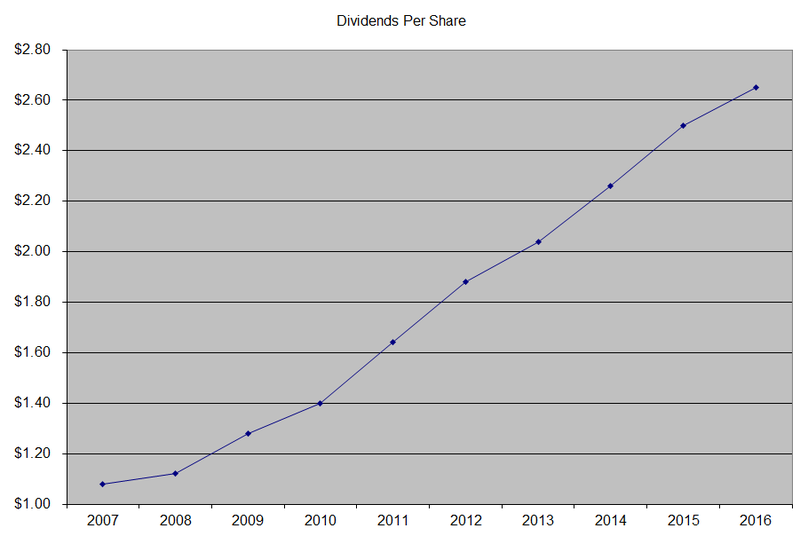 A 10% growth in distributions translates into the dividend payment doubling almost every seven years. If we look at historical data, going as far back as 1997 we see that J. M. Smucker has actually managed to double its dividend every seven and a half years on average. 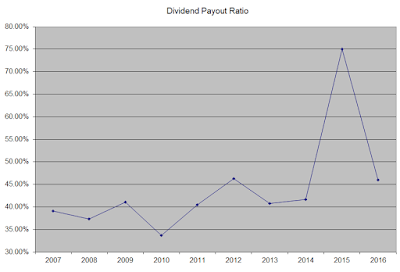 The dividend payout ratio has increased from 39.10% in 2007 to 46% in 2016. A lower payout is always a plus, since it leaves room for consistent dividend growth minimizing the impact of short-term fluctuations in earnings. 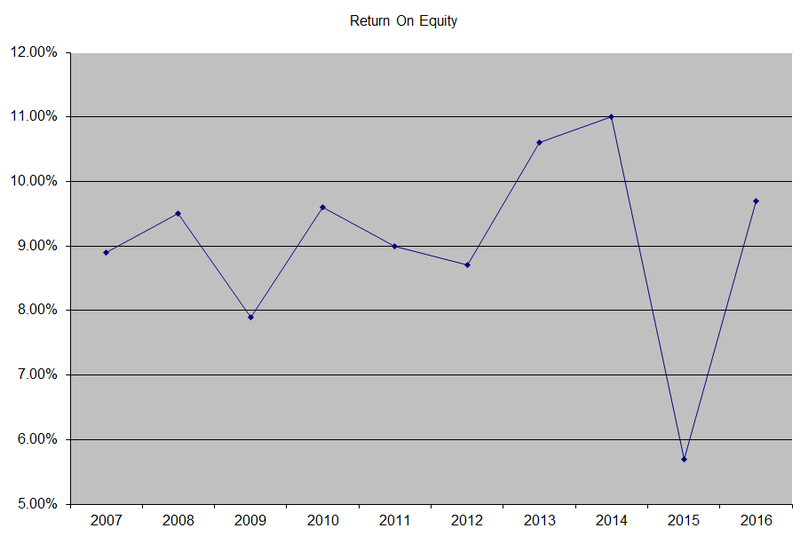 The return on equity has remained steady between 8% - 10%, with some rare exceptions driven by one-time items. Rather than focus on absolute values for this indicator, I generally want to see at least a stable return on equity over time. 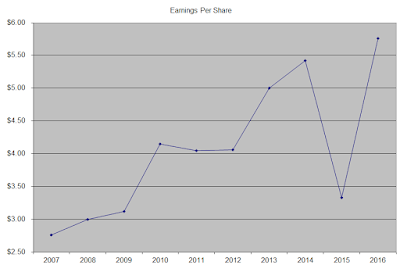 Currently, J. M. Smucker is attractively valued at 16.80 times forward earnings and yielding 2.30%. I recently initiated a small position in J.M Smucker. I would consider adding to my position in the stock on dips below 120/share.